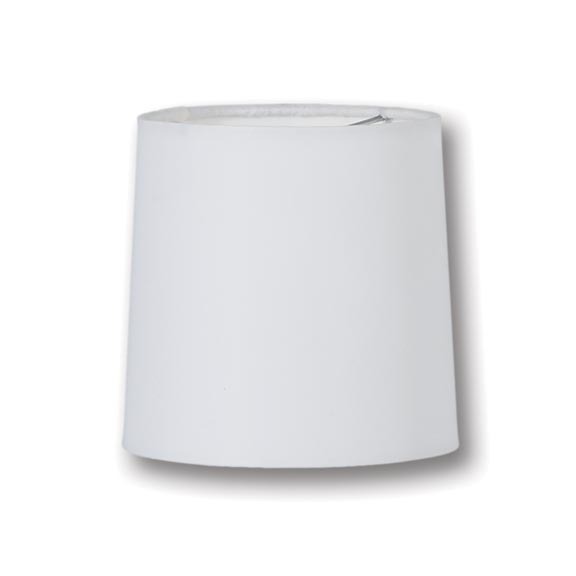 We offer a wide array of mini lamp shades. 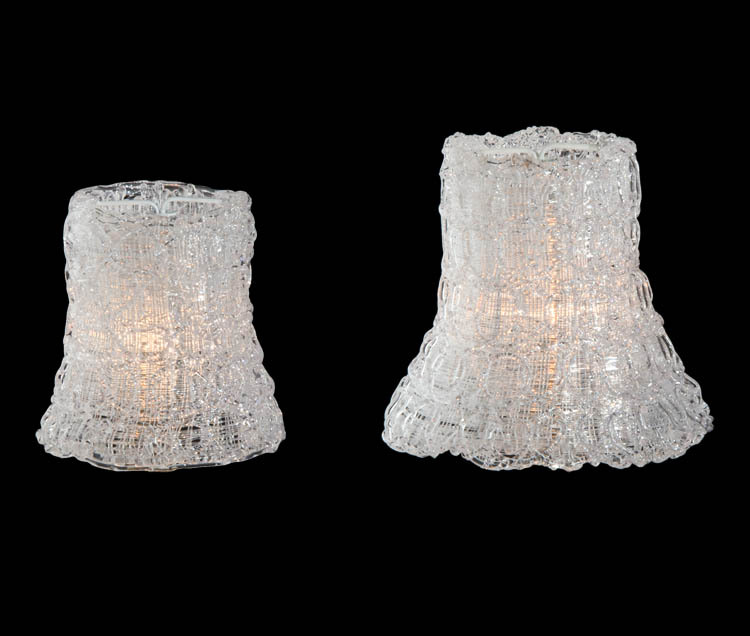 These are good fits for antique chandeliers, antique sconces, and candlestick lamps. 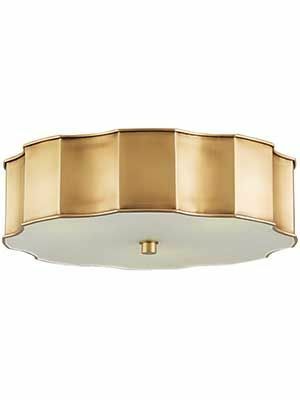 They can dress-up a bland fixture or give an older model a new look. These mini lamp shades are very easy to install, and can fit on a candelabra light bulb without the need for additional parts, clips, or hardware. 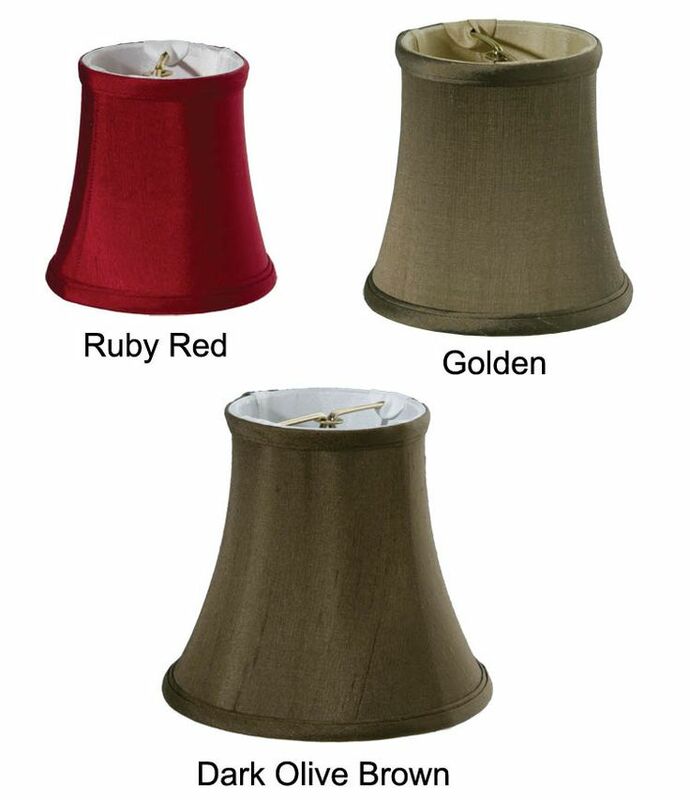 These mini lamp shades come in silk, mica, economical tissue shantung, burlap, and linen variations. 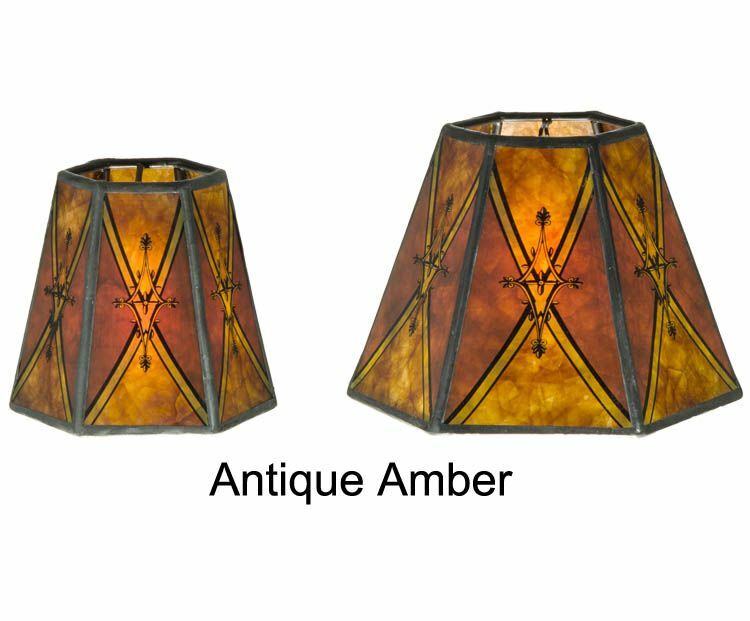 A large array of styles, colors, and models are offered in order to give customers a wide variety of choices to help make any decorative or restoration effort easy and convenient. 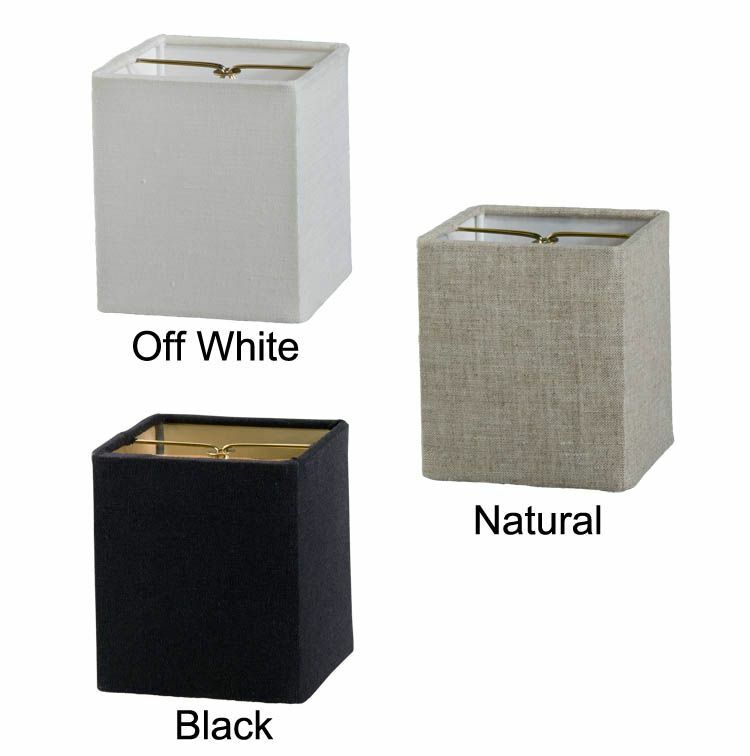 Mini lamp shades can be hard to come by in terms of specific styles and colors. Not only is our inventory full of diverse choices, models from a variety of eras are available as well. Our website offers a detailed tutorial about how to choose the correct size, and our dedicated staff is knowledgeable concerning all of the different variations we carry. We will be happy to assist you in making the correct choice for your unique need. Our miniature chandelier shades are always a good fit for antique chandeliers, antique sconces, or candlestick lamps, and really dress-up a plain looking fixture. 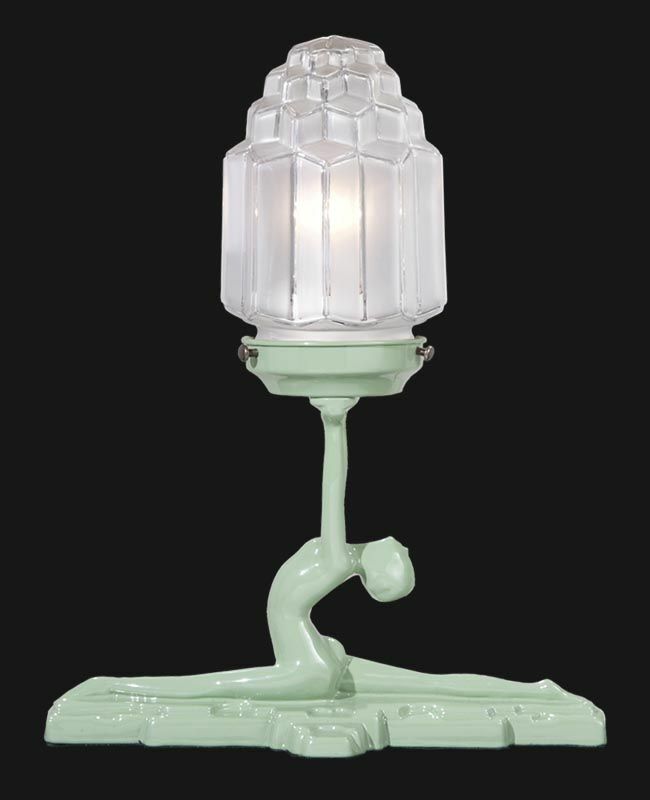 All chandelier lamp shades and sconce shades are hand made and have a bulb clip fitting. They will clip directly onto your candelabra light bulb without any additional hardware. 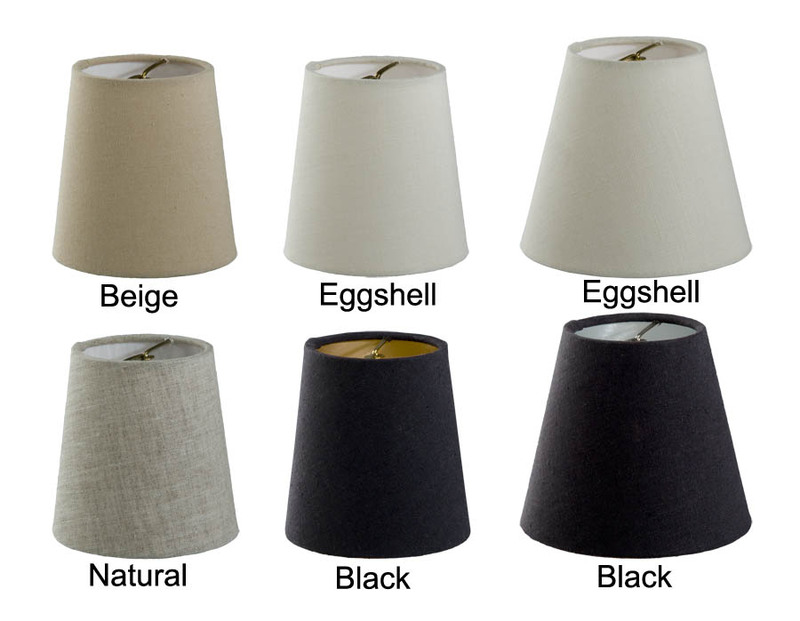 Our selection includes miniature silk lamp shades, mica lamp shades, and economical tissue shantung shades. We carry most any style to match your decor; from Victorian to Arts and Crafts and everything in between. 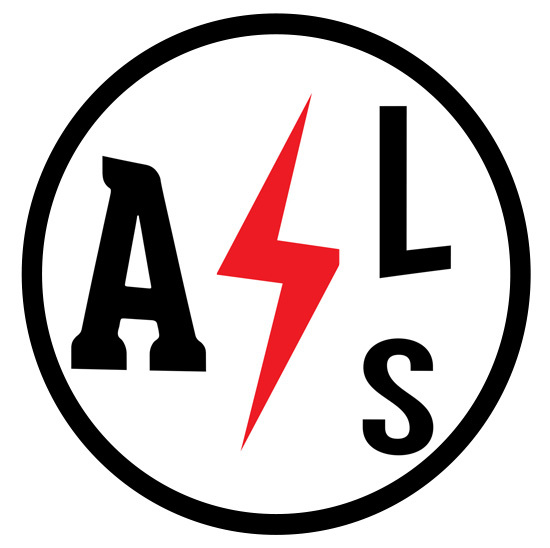 Customers want a specialty organization that is well-researched and dedicated to their craft. We have networked with antique dealers and studied our craft in order to provide the highest level of quality possible. Customers can be assured that we are dedicated to providing these pieces to help any need they may have. Not sure about the correct size of lamp shade you need? See our handy tutorial: How to Choose the Correct Fabric Lamp Shade Size. Those who already have pieces that they like may simply desire to fix them up with new parts and components. 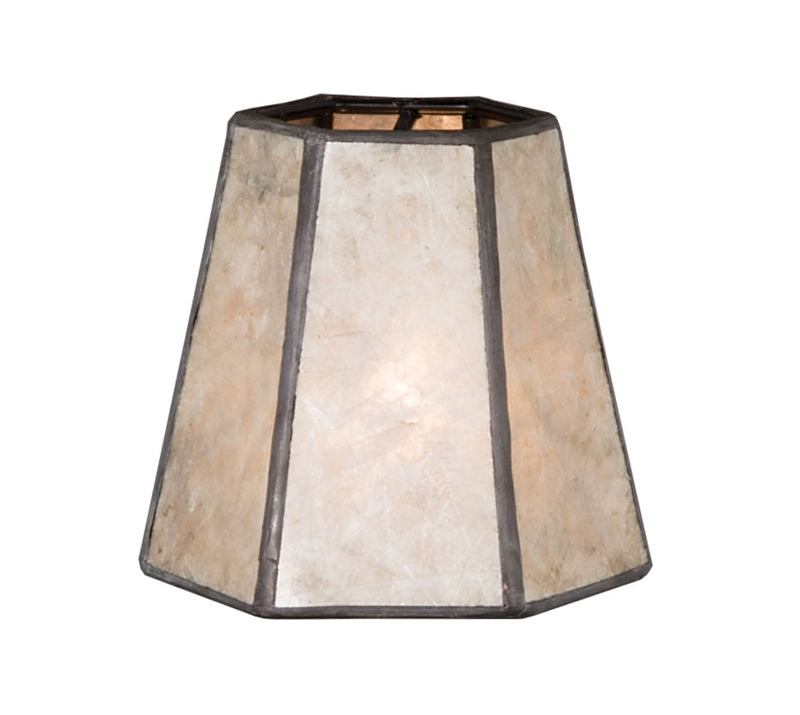 Even lighting fixtures which are in working order can sometimes use improvement for aesthetic purposes. This is true for standard models, as well as antiques which can sometimes have wear and tear due to their continued use. Driftwood Burlap Chandelier Shade, 3″(T) X 5″(B) X 4.5(H)Natural Burlap Chandelier Shade, 3″(T) X 5″(B) X 4.5(H)Almond Burlap Chandelier Shade, 3″(T) X 5″(B) X 4.5(H)Sand Dollar Burlap Chandelier Shade, 3″(T) X 5″(B) X 4. 5(H)Tailor~Made Brand Mini Bell Shade- Poly-Blend *ON SALE!Tailor~Made Brand, Clear Acrylic Mini BellTailor~Made Brand Mini Bell Shade 100% Pure SilkTailor~Made Brand, Mini Bell- Fine Linen, ON SALE!Tailor~Made Brand Mini Bell Shade- Slubless Tissue Shantung, *ON SALE!Tailor~Made Brand Mini Bell Shades w/3. Every dedicated decorator knows that it is often the subtle touches that can truly make a room come to life. Furniture, rugs, and artwork are all important, and lighting fixtures illuminate the room for everyone to see. However even these lighting fixtures can be tweaked and modified to improve their style and contribute to the theme of the room.